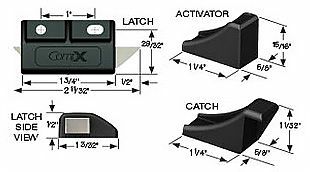 Eliminate the need for an elbow catch, or other devices, and allow hardware to be installed out of the way by using the NEW Double Door Latch from CompX. D200 Function: Cabinet Lock on right door with latch top mounted or cabinet lock on left door with latch bottom mounted. No need to reach inside cabinet to release elbow catch. Doors can be closed in any order. 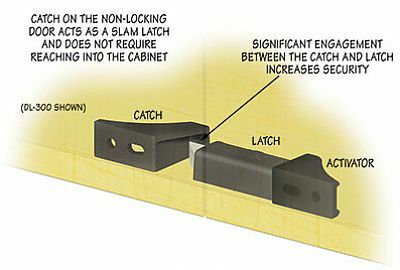 Low profile Latch mechanism reduces product footprint inside cabinet. Requires use of a single lock (sold separately). 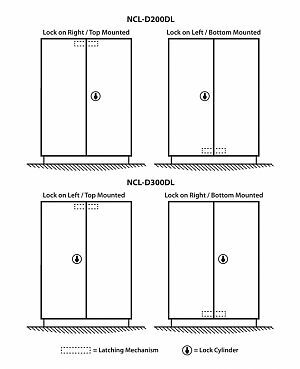 Allows two or three point locking for standard or wardrobe style double door cabinets when used with a lock. Exceeds pull force above 150lbs. Kit contains: 1 latch, 1 activator and 1 catch. 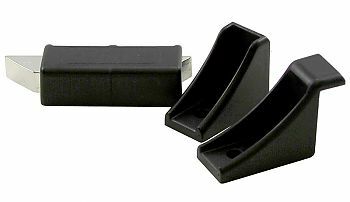 Note: This product is also known as dl-200, NCL-D200DL-BLK on other websites.